She was the Fifth Young Miss of the revered General’s Residence, but was seen to be useless as trash. Promiscuous and flirtatious to a fault, she was finally killed by mistake under the hands of the attendants of the man she was chasing; She was a genius favoured by the Heavens but ultimately murdered by an insidious plot and all who shared her bloodline pursued and exterminated which caused her to lust for revenge to be paid in blood. The day the genius had unwittingly taken up the body of that useless trash and opened her eyes, her fate had completely changed!!! Refining elixirs and the smelting of weapons were tough? That did not daunt her. She had easily gained the title of Emperor Beast Tamer! Men being arrogant because they are good looking? Since I read much faster in English, I stuck with the translation for a few weeks but the updates are on the slower (but steady) side so I decided to read ahead with the raws last night. This should be a 4.5 rating, if I had the option. The writing style is fairly crisp, the story flows at a good brisk pace and my favorite part is that I love the ML so far! He is so self absorbed and evil!! I definitely prefer cunning sneaky-type female leads but when... more>> I come across those, they are usually paired with cold but inwardly passionate (only to female lead) and lovesick/devoted MLs. Their personalities are pretty one dimensional. I haven't read far enough yet to determine but this guy is showing some good promise so far. The MC is okay, the fact that she cross dresses keeps things interesting but I wish she were more intelligent. The way she solved the only challenging problem she's come across so far (an illusion maze) was pretty disappointing. At one juncture, she even thought to herself that she's become more stupid since she transmigrated--- I absolutely agree!! I hope she brightens up. I like her hardworking attitude. In some of these novels, the MC just comes across chance encounter after chance encounter-- well there is that here too-- but at the same time, you see her sweat and work hard to improve herself. She's not just a DIVINE DOCTOR. Seems like all the expertise is just in her palm. It gets tiring along the way. I didn't see the part of "INSANELY PAMPERED" since both MC & ML are both busy in getting stronger. I stopped reading after chapter 1321 but she's not yet a "WIFE". This can be considered a decent novel. However, if you’re looking for a novel like black bellied miss or other novels in that genre, you’ll be disappointed. This is through and through a cultivation novel more akin to stuff like chaotic sword god or battle through the heavens. I was personally thrown off by the title. While there’s nothing really special or unique about the novel, (time traveling soul PLUS another second chance soul, as confusing as that is, medicine/pill forging/array master, etc. ), it’s not a bad novel in... more>> any way. the translation gets a 4.5 out of 5, only due to the strange constantly repeating occurrence of the translator mixing up names, especially calling other people the name of the MC (happens quite a bit). The grammar itself is close to perfect, with some minor screw ups here and there scattered through the chapters. Think about everything you enjoy in all your favorite stories. You will probably find it here. Transmigration? Got it. Gender Bender? Got it. Genius OP? Got it. Super cheats? Got it. Handsome powerful ML that fall in love in a blink? Got it. The MC is everything you can imagine. Its so absurd that sometimes I think she is a powerpuff girl: power, luck, and every single cliche. I mean... The ONLY ONE with THAT ability, with THAT UNIQUE beast and with a matrix learning speed. She have it all. Hidden... more>> in a "cinderella stupid-to-genius" girl disguised as a boy because, sadly, she can't let anyone learn about this amazing secret (not doing a great job so far). Sometimes I think the main purpose of the novel is show how incredible is this MC is. And, thats okay, I love it all, but... Its too much. I mean, I love meat, strawberry cake and pasta, but I don't eat it all together. So, yeah, I can resume my review in two words: too much. Too much cliches, too much OP. Lacks work in the intellectual and strategic part of the story. It is too superficial and the outcomes are predictable. And I think that if she gets more unique / powerful abilities, she will become Goku. Out of all the typical assassin transmigration FMC, she had the most realistic personality for me. I mean, she's cold when she kills, right, that's understandable because she was an assassin but she's still humane and girly for me as she strives to make friends, she has her own relatable hobbies and she does not immediately know everything. Yes, they did not put that fantsy tag for no reason also because of all that overly partial superpowers and the use of magic and all. The MMC does not follow her... more>> all the time and she grows on her own. This is like a combination of DKC, GDBBM, GT:7THYM. The MC has likeable personality. I like it when she doesn't go rampant killing anyone and still has the moral and logic to forgive. Not a petty character, indeed. The romance budding may be slow. But this is a good thing cause the MC focus more on cultivation, to be more stronger, expanding and deepen her network and relationships, developing her own character etc. This is what I conclude after reading till chapter 306. Too bad, the translation will be slower or stopped due to an issue. Excellent story. MTL'd the whole thin thru, which says something, because usually I hit the 1000+ mark on MTLs and get bored even if I like the story. This one I didn't. The MC and ML are both great, especially the latter. Ruthless and yet super sweet to the MC. Their relationship was great. The little friends of the MC were also a good part of the story. Really like that the novel included so many family and friends relationships rather than the ubiquitous ruthless-no-friends-kill-everyone-who-offends-me type. Which leads to really the... more>> only drawback of the novel... too many side characters who have no impact on the novel. There are arcs in which you meet characters who seem like they will affect the story, but then you get to the end of the novel and go, "wait, what happened to them". Even some of the main side characters have endings that feel rushed and that's the only part that really kind of disappointed me. The story itself has great transition and action, you never feel really bored and the author keeps you very engaged. Probably one of the best stories I have read in the aspect of pacing. Just at the end, you feel like there is so much invested in the characters, main side characters included, that when they get a short wrap up at the end, you're left wanting more. Even the MC and ML. This looks like another one of those typical assassin-transmigrates-to-ancient-times-and-cultivates tropes, but this is one of the better ones I've seen and it is actually more than that. It has more tales and twists than the typical, average ones and a bigger story. It also explores her background a little more. What I love most about this is her love for her new family and friends. Her friends are actually not just one of those flat characters that follow the MC wherever she goes. Surprisingly, they also have their own shocking and... more>> dark stories and a couple of them could have easily been the MC of their own story. It's almost like multiple MC transmigrators in one. For now, I am rating it 5 stars. I'm actually a generous rater, and since I enjoyed this one immensely, I'm not gonna hold back. So far, the plot is developing to more like the usual Xianxia novels. And I am not complaining. Lol However, one thing I like about this is, like Genius Doctor: BBM, the young miss of DDFYM is loved by her family! In fact, they doted and spoiled her silly despite being called 'trash' early on, as means of cheering her. And I like it! I'm starting... more>> to get tired of bullied reincarnators now after all. Anyway, we found out that the reason for her trash-ness is poison! By this chapter, she had already dispelled it herself and can now cultivate. What more, she's a perfect prism that can cultivate all elements, clearly setting that Xianxia aspect in stone! But let's not get ahead. Other than that, one thing I'm also excited about is the school theme. Yes, this one has a school theme! Or I hope it'll be a moderately long one since, being influenced by Japanese novels early on, I love magic school themes! What more, in school, they also receive missions! Isn't it exciting?! So, yeah, to put simply, I have great hopes for this novel. It seemed interesting and packed a lot of fantasy and adventure, which is definitely perfectly in line with my interests! Moreover, there are hints of mystery as well -- like MC's parents and where they are now, the strange dreams MC had and so on and so forth. Over all, it's a good read that I'm hoping more would be able to notice it soon! Hm. I put that I completed it, but in reality I probably only read through like 1/3 of the chapters, if that. Honestly, I don't know what's up. I used to love like GDBBM or BPSHW or EEWC or whatever and like totally blew through them. Idk, I read through the 300 or so translated chapters and as I started reading through the raws, I was just... bored. They don't actually get together until like almost chapter 1000, so I basically just skipped through based on the raws and the chapter... more>> titles to around chapter like 880 or something when the romance would actually start. I'm sure previously she would have been annoying about MS and WLY and other things, but after the fusion the ML became one and we were good. So yeah there was some romance and I was satisfied. But there's just so much drama going on, and they separate, and it gets boring again real fast. So I just kept skipping around. Love the parts when they are together (probably if you add all of the words up it would come to a whopping total of like 6 chapters) and the kids. The antagonist in the later parts was just really irritating, especially since she gets conflicted and then there always has to be some huge drama at the end about the MC/ML basically dying and then someone sacrificing for them or whatever. A couple of the epilogue stories are cute, but I would have liked to see more of the MC and ML together. Also the extras about the daughter and her probably going back in time made almost no sense. The ending is not done that well. Also I prefer to have smart and OP MCs, and even though she does have massive talent and is usually quite strong, from the first parts she really seemed quite dumb and unaware of anything and blamed it all on her being unfamiliar with the new world. Uh... like if you went to a new world, would you not like spend a couple days just reading up about it? I feel like that would probably be the smart thing to do right?? I also think that she often does not think things through all the way, and all of her genius is probably just spent on being able to learn things. She is OP relatively, but there are just so many enemies that she gets severely injured or almost dead or threatened by, which is always true and frankly quite disappointing. The story is somewhat most similar to Genius Doctor: Black Belly Miss mixed with Battle Through The Heavens. However, compared to the other two, this isn't that good. :/ I guess one reason is because MC seems to lack character and her "care/love" for family/friends seems very forced. It just seems like MC just doesn't fit in the world and it feels that her relationship with [some] are forced. Her "pet" is just all over the place and quite annoying. Very disappointed. I like the story, the MC, the ML. This is throughout cultivation, the leads interaction at first are not much but it’s adorable. Good personality for a MC, neither haughty or timid, and don't get bully easily, and shows her talent when needed. Really looking forward to finding out her past. So far ML hasn't made an appearance since the last time, after all the chapters are somewhat short. For those that want a fast romance this might not be for you. Friends stand out in their own way, especially the fatty (^<>^). The MC is quite reliable and multi-talented, also this is nice-pacing. Decent novel, wherein the MC can seriously do A N Y T H I N G.
But one question tho, when will she be a “wife” (hint: sarcasm) ?!? It’s been so long since the ML last appeared. No encounter with the ML nor even a few story regarding the ML.. There’s nothing! I like this novel if not for the dragginly boring parts. I really like it that the MC is made to be OP but with limitations. Such as you really get to see her do actual hard work and not constantly relay on her beast and friends. And the MC ACTUALITY HAS A GROUP OF FRIENDS, that go with her along the journey, unlike other novels with 1dimensional minions following her every order and not doing most of the battle and only knowing how to face slap. The MC GIVES... more>> WAY to side characters and gives room for them to grow so it doesn't only focused on her. The best part is she doesn't go rampaging and killing clans, and just killing particular people she has beefs with which I really appreciate. Best part is most antagonist are smart enough to not to go head to head with her. The evil minions as are pretty smart and know well when to back-off and not be involved anymore. And few jealous-dumb-female antagonist charters is a plus! What makes this a good book to read is the strong and cunning female lead, she very entertaining as you never know what she's going to do next and she doesn't let anybody bully her or her own. 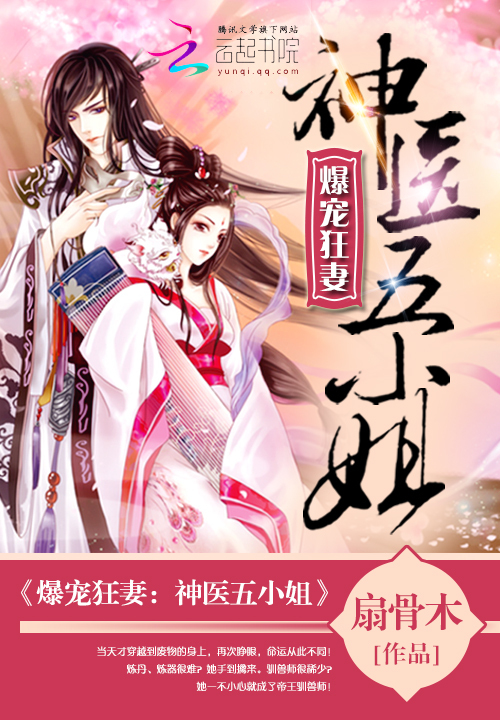 It's completely different to other books I've read where the female protagonist needs a man to rescue her, Sima You Yue most of the time does the rescuing herself. I highly recommend it as its a good laugh.